July 15, 2016 July 4, 2016 by Ada W.
Mt. Fuji remains to be Japan’s highest peak, and its most celebrated mountain. With its snow-capped top and magnificent view; it continuously attracts tourists from all over the world. For some, they consider climbing Mt. Fuji as one of the task in their bucket list. That is why it is considered to be the most climbed mountain in the world, witnessing about half a million people every year climbing it. Most climbers start the ascend at night to give them enough time to reach the peak in time for the sunrise. If you are one of the people who plans to climb the Mt. Fuji, here are some mountains that will help you conquer the summit of the mountain. So better get your hiking gears and knees ready, as you train for the ultimate Fuji climb. 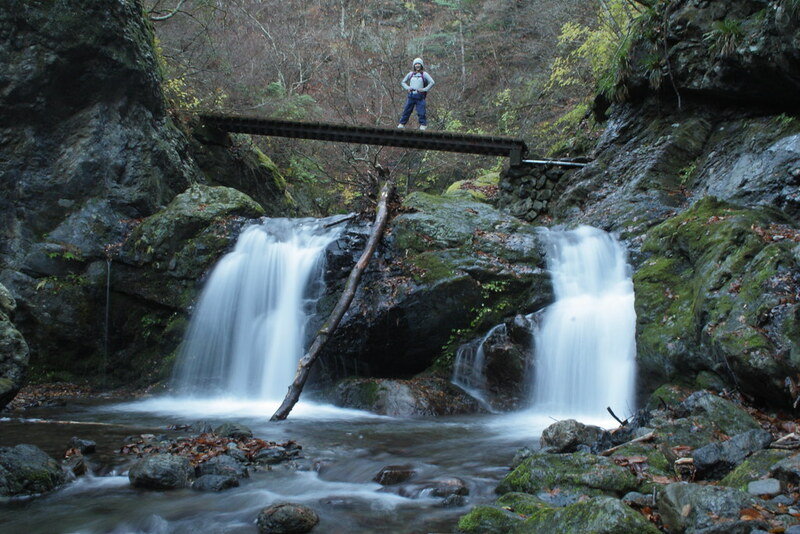 Also Read: Affordable Hiking Tours in Japan. One of the popular hiking spots in Kanagawa, Mt. Oyama offers a good day trip adventure with wonderful views. For hiking newbies, it is recommended that they take the women’s trail which is easier and gives you interesting glimpses on the Seven Wonders of Onna-zaka and Oyama-dera Temple. If you are in for a challenge, take the men’s trail, which is harder because it is more steep and rocky. Getting There: From the Isehara Station, you can easily follow the directions to the bus stop that will lead you to Mt. Oyama. Take the bus at stand number 4 and alight at the very last bus stop. From that bus stop, look for the signage that indicates Oyama Cable Car. It will lead you to the first point of hiking Mt. Oyama. Difficulty level: The hike from the jump off point to the shrine is easy to moderate. However, from Oyama Shrine to the summit is difficult. You’ve been warned. Mt. Nabewari is a true hiker’s dreams come true. With untouched natural surroundings that features waterfalls, rivers, bridges, tall trees and stone paths, this hiking experience will get you in touch with your inner nature lover self. Hikers challenge themselves to finish the trail and be rewarded with a delicious bowl of Nabeyaki Udon, all ingredients carried everyday to the top of the mountain by the owner. Gettting There: Take a bus from Shibusawa Station, alight at the Okura Bus Stop in Hadano. If you plan to get there early in the morning, you will see some hikers also preparing for the trip. Difficulty Level: Also moderate to difficult, particularly the part nearing the peak where everything is almost steep and has lots of inclines. In summer, there are leeches, so be very careful. One of the mountains hikers train in preparation for Mt. Fuji, Mt. Kawanori has well-defined trails and less man made interventions to nature. You can encounter a lot of bodies of water in your hike. The mountain houses a main stream, tiny waterfalls, river pools and others. You can hear the endless sound of water splashing through rocks and trees. Getting There: From the last stop of the Ome Line which is the Okutama Station, walk to the entrance of the Kawanori Mountain. Some people prefer to go there through the bus and will alight at the entrance. Difficulty Level: The descent is harder than the ascent. Hikers compare this mountain to one notch easier than climbing Mt. Fuji itself. The climb alone is very rewarding, but at the top of Mt. Mitake is an impressive shrine for you to visit. It has been said that the mountain has been the center of mountain worship for the last two thousand years. Unspoiled and dense, the trail will treat you to picturesque views of mossy forest, streams and waterfalls. Getting There: From the Mitake Station, you may walk to Takimoto, the start of the trail. You can ask for a map at the information centre, walk along the river and arrive at the cable car station. Difficulty Level: It is not as difficult as the other mountains since it is a good combination of more gradual hikes and steep ones. I’d rate this mountain as intermediate. The highest peak in Tokyo, Mt. Kumotori is a hiker’s dream. It also has one of Japan’s most beautiful temple – the Mitsumine shrine. At the start of the hike, follow the clear signs until you find the Kirimo-gamine which gives you a wonderful view of Mt. Asama. Continue hiking until you get to the Shiraiwa hut. This can be your overnight place if you started the hike late or your refuge when bad weather sets in. Your last stop is the Kumotori hut. Here you will see a striking view of Mt. Fuji. Getting There: Take the Seibu Line train and alight at the Seibu-Chichibu station. From there, take a bus to the Mitsumine shrine and get off at the terminal. Difficulty Level: This is the easiest among the list as you have several pit stops for you to rest and catch your breath.